Once you enjoy your Beijing tours, you'll never miss a Beijing Hutong Tour, as it is one of the most distinctive features and must-see attractions in Beijing which can show you the real culture of Beijing. Hutong means a lane or alley, in fact the passage formed by lines of Siheyuan (a compound with houses around a courtyard) where old Beijing residents live. Thousands of hutongs spread in the Beijing city, which were mostly built during Chinese Yuan, Ming and Qing dynasties. Top China Travel has listed some famous Beijing hutongs for you to get a better experience of the real life of the Beijing locals. Nanluoguxiang is a very ancient streets of Beijing Dongcheng District. 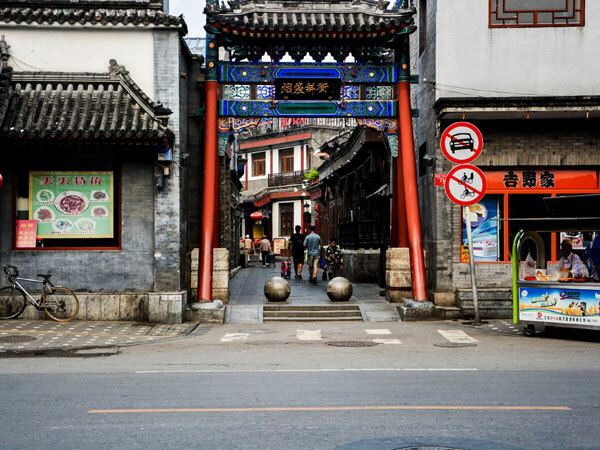 The street in Nanluoguxiang is not wide and remains the planning of streets of Yuan Dynasty (1206-1368). Hutong refer to the old style alleyways where large numbers of one-story courtyard houses are located in Beijing. Many of these areas are now protected in order to preserve their unique architecture. Nanluoguxiang is one of these places, which has proved to be a mix of history, fashion and shops. No wonder it's a big hit with tourists especially the younger generation. Nanluoguxiang is also an ideal place to eat with plenty of different establishments offering western food such as pizza and coffee. Chinese meals are also available. Several shops in the area will catch your attention with many unique gifts such as plates and coasters featuring artistic designs. Nanluoguxiang is an alley of amazement and happiness. If you came to Beijing, make sure don't miss it. Yandaixie Street, built in the Yuan Dynasty, located in the front of the Drum Tower in Beijing Di'anmenwai Avenue, north of the Qianhai Lake in Shichahai area, was the 2nd street to be named " as "China's historical and cultural street" by the Ministry of Culture, the State Administration of Cultural Heritage on November 10, 2010 following Beijing Imperial College Street. It has a total length of about 232 meters and a width of 5-6 meters. This slender and diagonal street just looks like a smoking bar. It is Beijing's oldest commercial street which has numerous hotels, inns and other foreign trade stores. The architectural style here is simple along with characteristics of the northern part of the Beijing city. It is a famous cultural street in the north city of Beijing, where left many cultural celebrities' footprint. Mao'er Hutong is a very famous alley among Beijing surviving 25 protected areas in the alley. has a total length of 585 meters, a width of 7 meters. It doesn't have the loneliness of the usual old street and lane; its both ends connect with the bustling streets and cars shuttle inside the alley from time to time. In the dense avenue, the stylish cars and the old tricycle interlace between the red gate and gray walls, which dimly reveals a remarkable status of Mao'er Hutong. Although the centuries-old Mao'er Hutong has experienced destruction by time, the alley is still preserved in its original style. Inside the courtyard, there is always an old tree, or jujube tree, or cypress, or locust tree. In the hot summer, the old people will sit in the shade and shake their hand fans to chat with each other, the children will play at the gate, how happy and leisure such situation is. 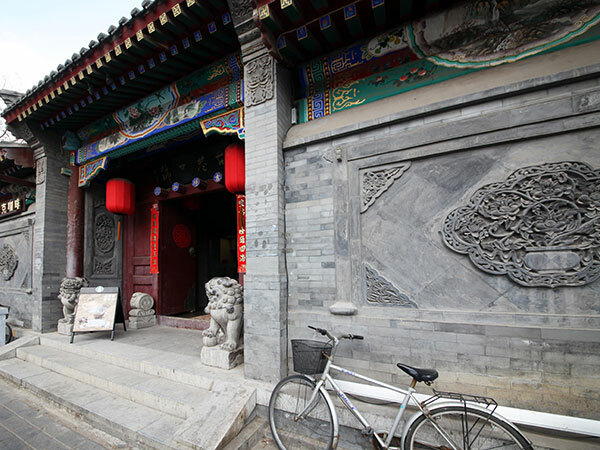 Guozijian Street, or the Imperial College Hutong, famous for the Confucius Temple and Imperial College, is an east-west Hutong and has 700 years of history which remains the old style Beijing alleys. It is one of the first "Chinese historical and cultural street". It is the city's only municipal conservation street which is named after its street name. This ancient street concentrates a large number of historical and cultural heritage of the national heritage conservation units like Imperial College, Confucius Temple, etc. It is also the only street with decorated archway reserved in Beijing city, which concentrates the essence of traditional Chinese culture. With its elegant, quiet, solemn, mysterious environment and the rich historical, cultural connotations, it has become a unique cultural area in Beijing. Liulichang: located in Beijing Xicheng District, 1 km from the Tian'anmen Square, is the most Cultural Hutong in Beijing; also is one of the largest antique markets in China and an ideal place to visit for the traditional "four treasures of the study"( that is calligraphy brushes, ink, paper and ink stones). Jinyu Hutong: also called Goldfish Alley, located next to Wangfujing Commercial Street, the most modern Hutong in Beijing with many big brand hotels and large shopping centers. Dongjiaomingxiang: located in Beijing Dongcheng District, near to the Tian'anmen Square, is the longest hutong in Beijing which has a total length of about 3 km. Xijiaominxiang: located in the south of Beijing Xicheng District, is Beijing's original financial street where the domestic and overseas banks chose to open. Ju'er Hutong: located in the northwest of Beijing Dongcheng District, west to the Nanluoguxiang, is a hutong shows you historical change of Beijing. Bada Hutong: located in the Beijing Xicheng District, literally means the "eight great " hutongs which mainly consists of eight alleys, is the "Red Light District" of Old Beijing.